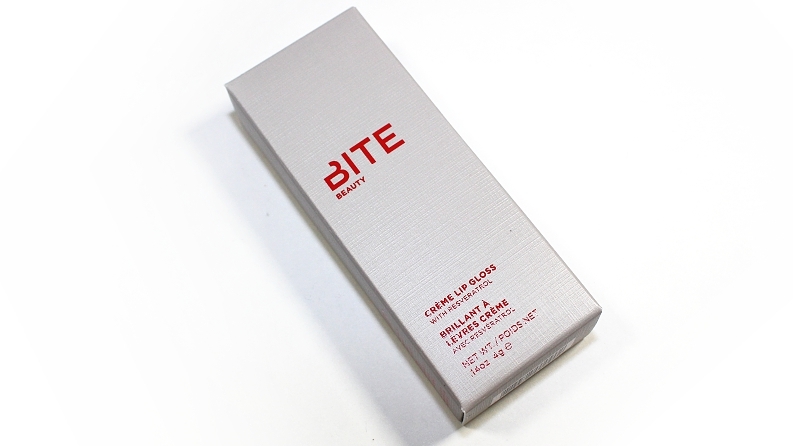 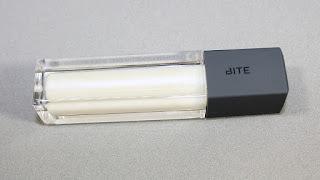 Bite Beauty Opal Lip Gloss (0.14 oz.) 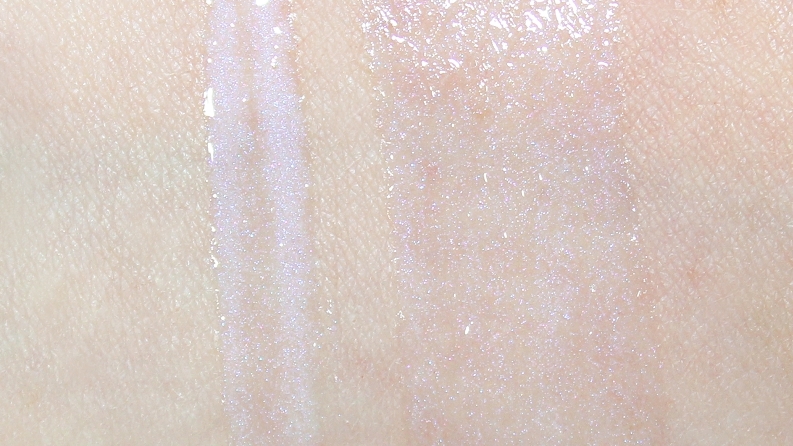 retails for $24 USD ($25 CAD) and is said to be "a transformational and pearlescent lip gloss in an opal shade for a slick of opalescent shine." "Transformational and pearlescent, Bite Beauty’s Crème Gloss creates a lip look with ultraviolet dimension. 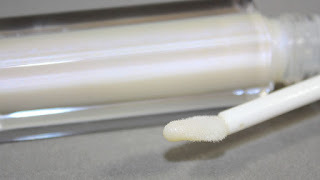 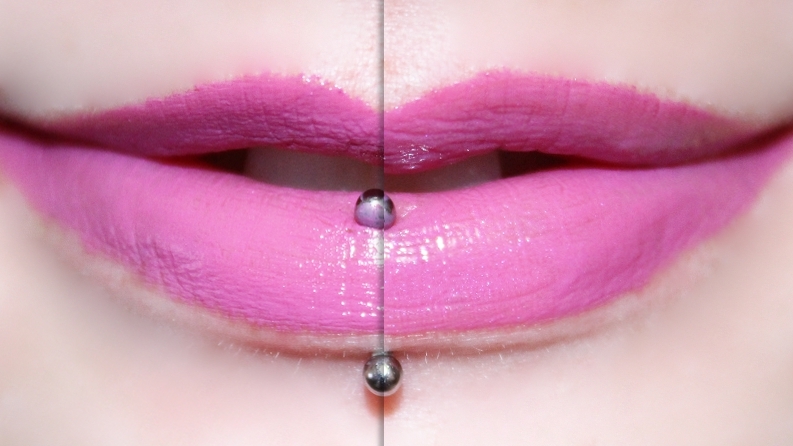 Silky and nourishing, the two-tone pearl gloss can be worn alone or on top of any lip color for an alluring, pearlescent lip with high-shine and shimmer." 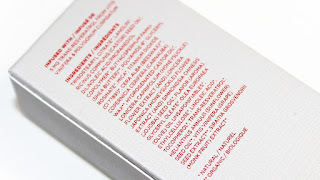 The packaging is a clear tube with a rubberized, silicone cap. 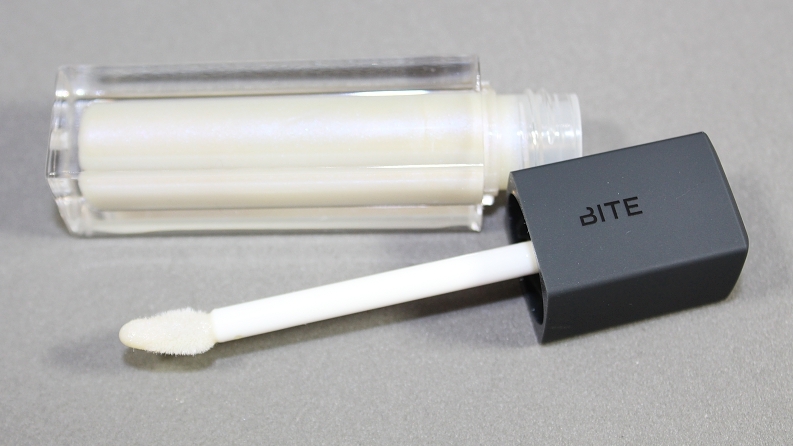 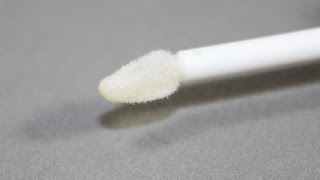 The applicator is an angled, velvet wide wand and it applies product easily—although, if you're layering this over a lipstick or colored lip product, you may want to use a lip brush to prevent color from transferring onto the applicator or into the tube. The gloss also has a sweet, fruity scent that can be noticed on initial application, but hardly tasted. 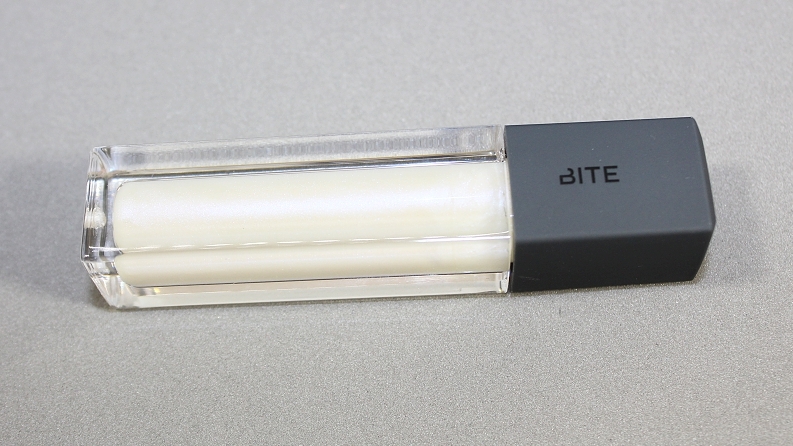 Overall, this product has a very unique concept, but I feel as if the end result comes as a disappointment since it isn't nearly as intense as you would hope. 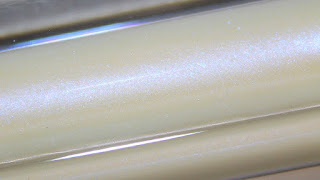 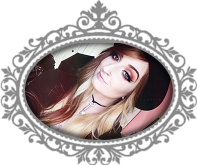 It's a fun, subtle gloss to wear on it's own, but for layering over other products, I would definitely suggest pairing it over a matte lipstick to get the most out of that stronger, opal sheen.